[STGCC 2013] TAM's LIVE in Singapore! Hey, Stifler here. Just got back not long ago from Day 1 of STGCC 2013. Because of schoolwork commitments, I was only able to arrive at STG in the early evenings. Was I disappointed? 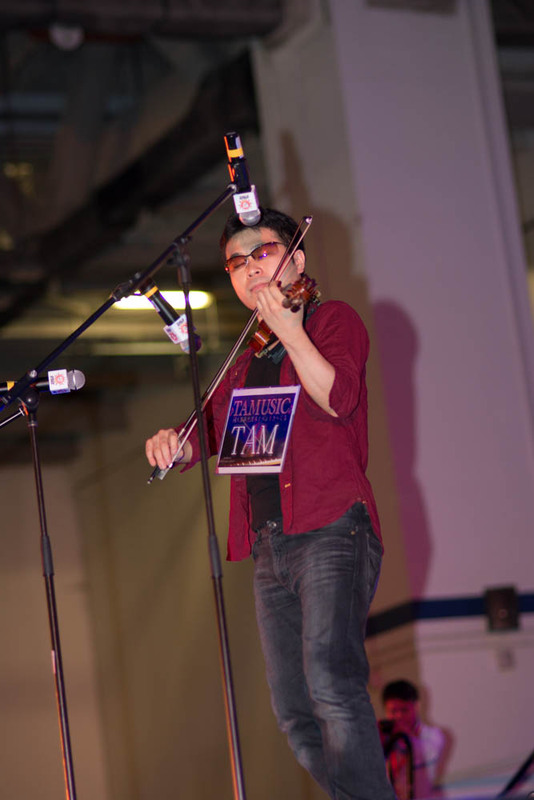 Maybe, but at least I managed to reach in time to catch one of my favorite musical artist performing in person - TAM. TAM working it out on stage. Photo credit to Winterknight. 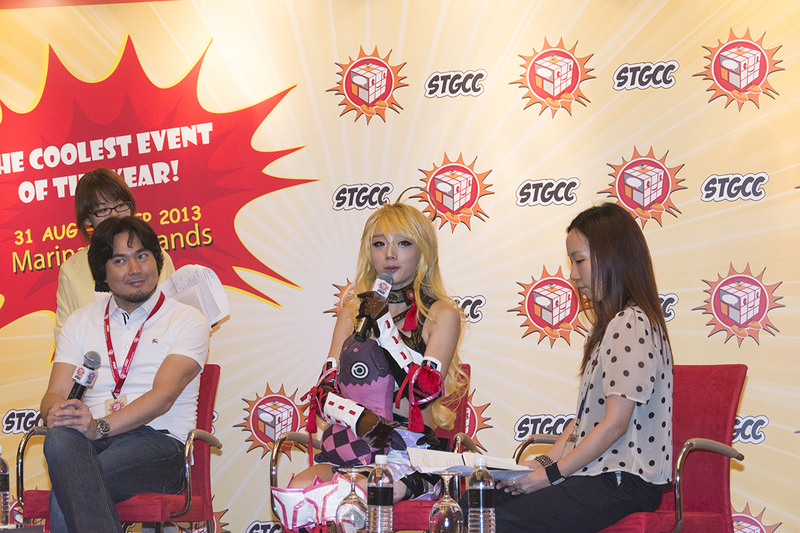 The Singapore Toy, Game, and Comic Convention is back once again in Singapore! This long loved fusion event between the East and West has got a couple of lovely surprises in store for you this year, so come take a look! We at the Visual Arts Society were lucky enough to attend the Media Preview for STGCC 2013 this. It's not everyday that you get the chance to interact with some of the guests coming to STGCC, and it's a chance that we could not pass up on. More pictures and info after the jump! 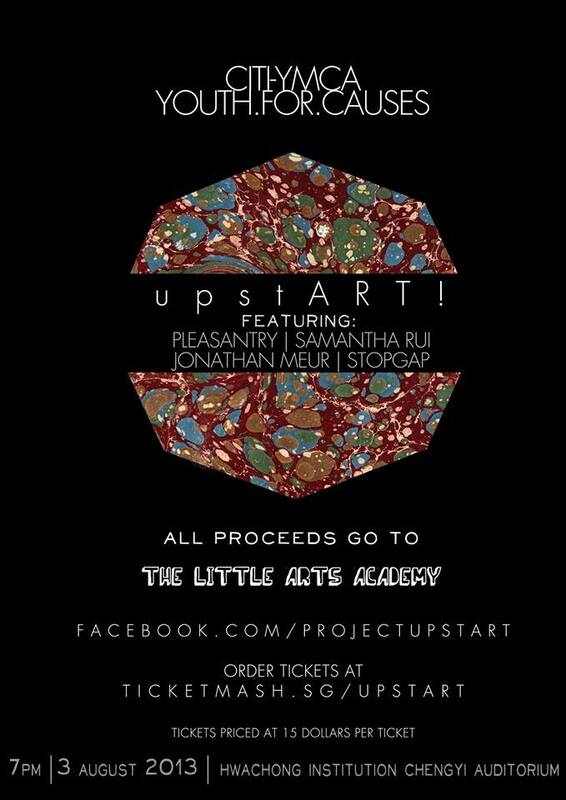 It has come to our attention that there will be an upcoming concert this Saturday, the 3rd of August 2013, at the Hwa Chong Institution Chengyi Auditorium~ The concert's name is UpstART, and popular local bands and musicians such as Pleasantry, Samantha Rui, Stopgap and Jonathan Meur will be performing for you. There will also performance put forward by children from the Little Arts Academy. Tickets are going for $15 a piece, and all proceeds will go to the Little Arts Academy. Tickets may be ordered at www.ticketmash.sg/upstart. 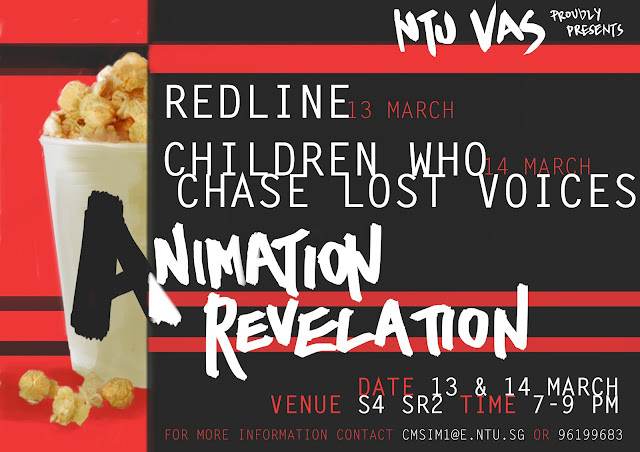 The VAS AnimeWorks is proud to bring to you three excellent animated movies this March -- "REDLINE", and "Children who Chase Lost Voices" ! 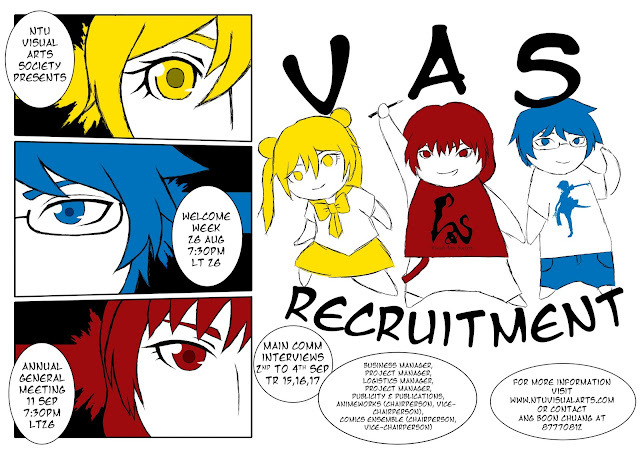 Not yet a member of the VAS? Not to worry! Just drop by to the screening and sign yourself right up. Membership is $2 a year, and you get free access to all of our anime movie screenings! You can sign up for the screening here! Or join up at our Facebook event page here! A short synopsis of the movies is available after the jump!